Most traditions are no longer a must when planning your wedding, and that certainly applies to who makes the cut in your wedding party. Gone are the days of men on one side and ladies on the other. By mixing things up with a coed wedding party, the bride and groom can have their favorite people—regardless of gender—standing next to them in support. While some guests will enjoy a switch from the norm, others might find it odd or off-putting. If these others are your parents or someone who you feel strongly needs to be on board, communication is key. Ask family members about their hesitations; part of alleviating the hesitation is to hear out all parties’ concerns. Many times they don’t understand where you’re coming from, and it’s helpful to understand that it’s important you have these people by your side on your wedding day. Remember, if you can’t convince someone with more traditional views, then take solace in the fact that you are doing what feels right to you. It is your day, after all! One thing’s for sure: Ditching the gender roles means your bridal party will be full of originality. However, it can also call attire into question. The first rule is that there are no rules! Instead, have a vision in mind for what you want your day to look like and what you want to have captured in photographs. 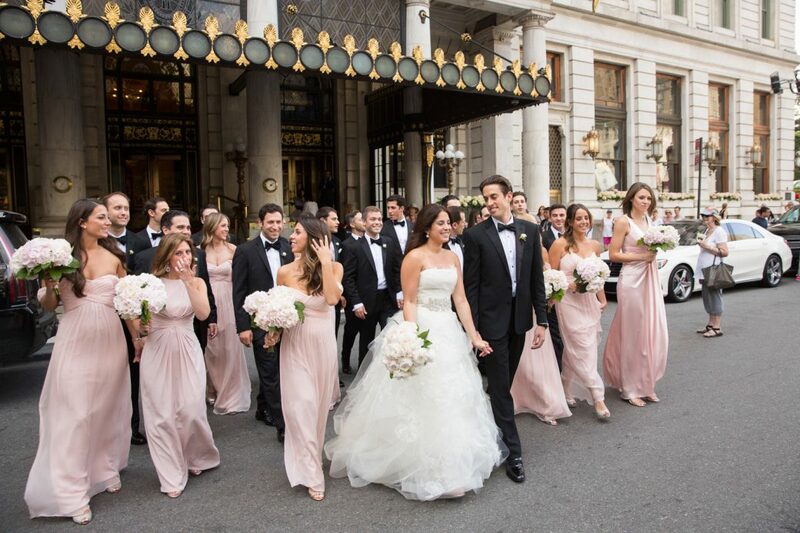 We recommend the women standing up on the groom’s side either wear dresses that match or coordinate with the bridesmaid dresses or wear dresses or outfits that match the groomsmen’s suit color, such as black, gray or taupe. For the guys standing up on the bride’s side, matching ties, bow ties, and pocket squares to the bridesmaid dresses. For a more mix-and-match style, choose a wedding color palette and pick clothing for everyone that coordinates. Bridal showers, bachelor and bachelorette parties and other bride (and groom) specific events may seem tricky to navigate now that men and women are mixed. The good news is that they don’t have to be. Just as you bucked tradition with the bridal party, the same can be done for related events. We say invite your loved ones, no matter their gender! Another option is to throw a joint shower/bachelor/bachelorette party. A wedding is a time to celebrate with those you love, no matter what tradition says. Consider a Jack-and-Jill style shower, where the entire wedding party is involved, and men and women are both invited. Keep the games, activities and décor gender neutral. When the day is done, remember that it’s ultimately just a party celebrating the union-to-come for two friends. New roles require new names, which will come in handy when making personal introductions, crediting the wedding party in the wedding programs or announcing each party member as they enter the reception. Again, there are no rules, so be creative with what you call your male maid of honor, whether it’s the man of honor, the bride’s best man, or something completely unique to your friendship. Bridesman, groomswoman, friend or sibling—what you call them is your call.